I am Brian K. Harris II, Founder and Artistic Director of Sons of Freedom Dance Institute, an all boys dance company committed to teaching boys of color character, spiritual formation and brotherhood through dance and movement. I SMILE when I see boys of color step beyond the balcony of what's socially and culturally accepted and boldly walk into their authentic selves. I SMILE when I see boys who are fearless in expressing their hurt, their pain and their experiences through dance and use it as a vehicle to become more loving, kind, creative and DOPE human beings. Why does this make you smile? This makes me smile because often times in our communities we create boundaries and limitations for black boys, silencing their thoughts and feelings about issues directly affecting them. I smile when see them become FREE enough to open up and share what's on their heart. What sometimes stands in the way of your smile? Often times, the lack of understanding from our communities stand in the way of me and our boys from smiling, as many people doubt the power of the Arts and its ability to change the emotional, spiritual and even academic trajectory of boys. What can you do as an individual (or we can do collectively as Black men) so that you may smile more often? Our communities must not be afraid to explore creative and innovative approaches to reaching boys of color and using the Arts is a way to begin the CHANGE we want to see in them. We would be able to smile more when we can move past our "Fear" or our prescribed"notions about what is acceptable for boys, and give them the space to express in their own unique way. SMILING then will become our MANTRA and way of being! 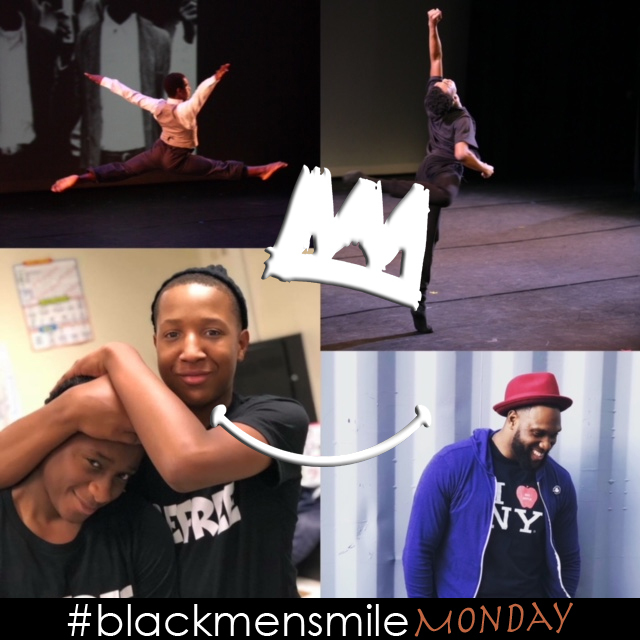 Sons of Freedom Dance is the fifth feature of our weekly series Black Men Smile® Monday, weekly in-depth profile of amazing Black men...and stories about what makes them smile! Follow link for instructions for how you can be featured.